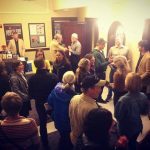 Once a year, the Driftless Film Festival brings together the best of new independent cinema with the landscape, artistic energy, and local atmosphere of Southwest Wisconsin. Now in its fifth year, Driftless continues to provide a one-of-a-kind cinematic experience for audiences and filmmakers alike. 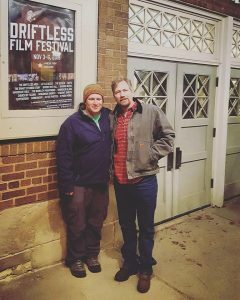 Founded in 2009 by filmmakers Darren Burrows and Nicholas Langholff, Driftless was born of a love for independent films, an appreciation of the unusual region, and the joy of spending a weekend immersed in the charm Mineral Point’s galleries, shops, restaurants, and bars. It is this delightful marriage of place and cinematic story that is the core of the Driftless vision today. The DFF holds screens each of its films in the Mineral Point Opera House. Beautifully restored in 2009, the MPOH retains the atmosphere of its origins as a 1915 vaudeville house. Brought to life by film screenings and live performances year round, the Opera House is both an elegant testament to Mineral Point’s passion for preservation and a showcase space for some of the best entertainment in the region. Each year the festival hosts filmmakers from across the country. Special guests have included Mark Metcalf (Animal House, Seinfeld, Little Red), Anthony Arendt (Muscle Shoals, Avatar), and Matt Adams (We Cause Scenes) among many others. Not only do visiting filmmakers present revealing Q&A discussions during the festival, but the weekend provides an opportunity for filmmakers and attendees to mingle outside the screenings. Friendships form over coffee at the local diner and drafts at the main street bars. This opportunity for one-on-one connection kindles the union of film and community at Driftless. From popular festival hits to locally-produced art, the Driftless Film Festival seeks to showcase the most thought-provoking, innovative, and creative independent cinema of our time. These films will hit home in a place that feels like home. We welcome you to join us.